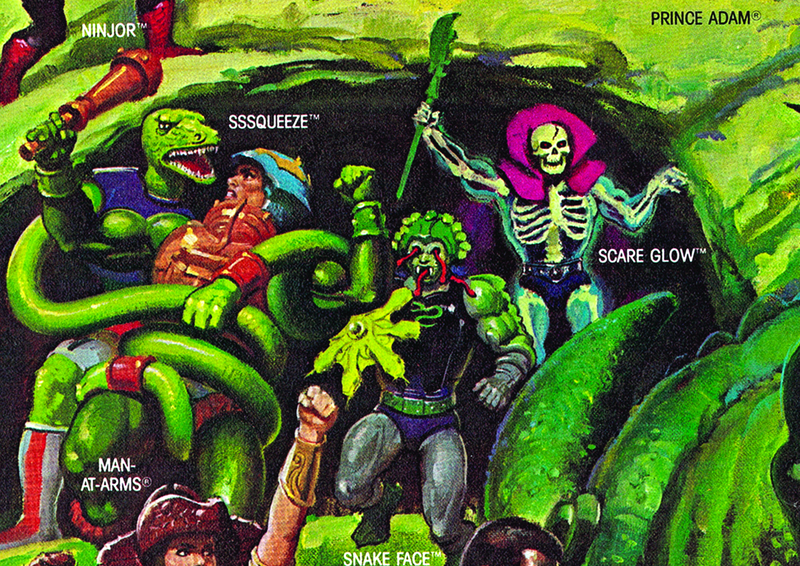 I have no recollection of ever seeing Sssqueeze in stores, but by 1987 I had stopped following what was new in He-Man’s world (back in the day that meant scouting out catalogs and toy aisles rather than forums and social media). 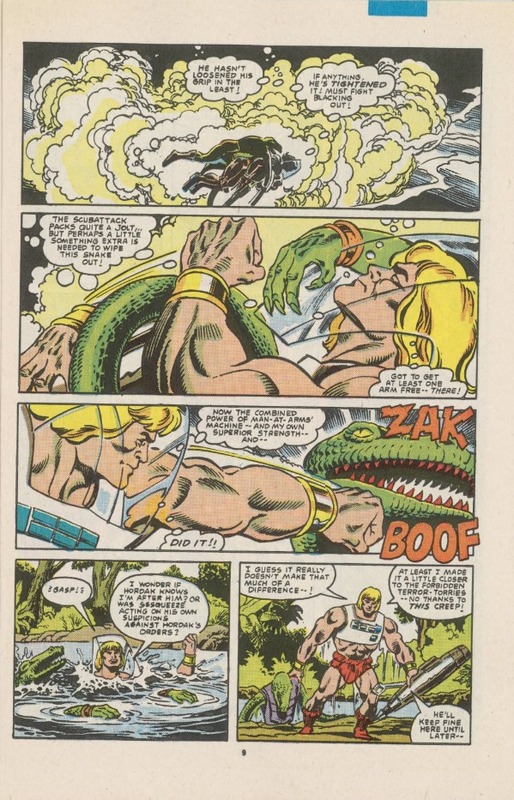 My first reaction to seeing him as an adult was that I didn’t think he fit in with He-Man at all. 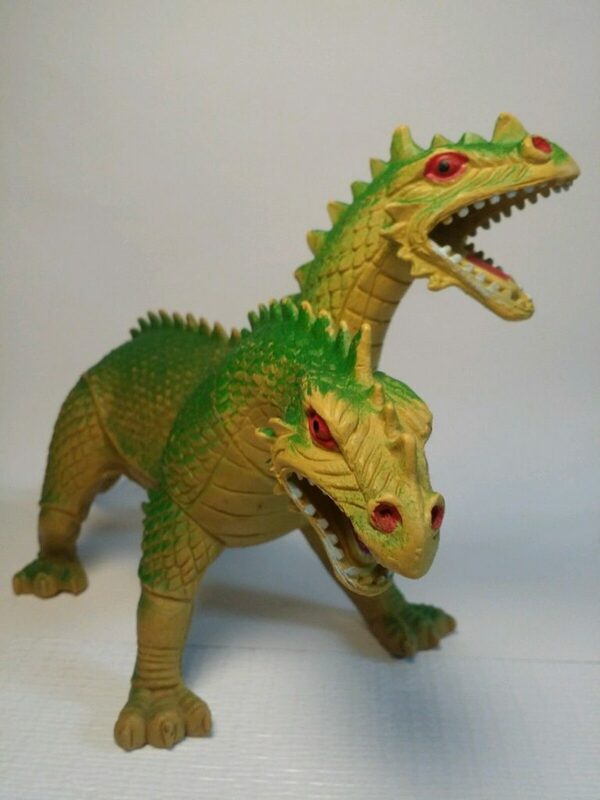 His head reminds me of those hollow plastic Imperial beasts you used to find everywhere. 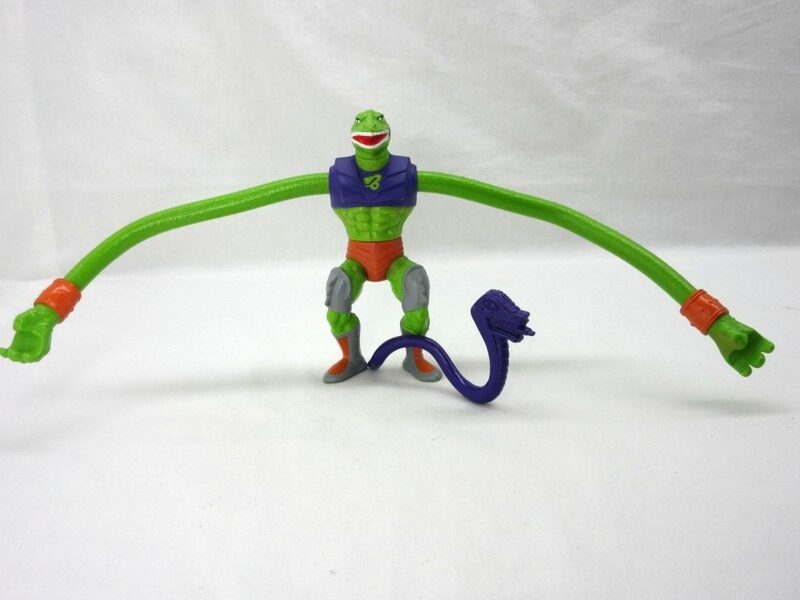 And of course his ultra-long bendy arms are incredibly goofy-looking and gimmicky. 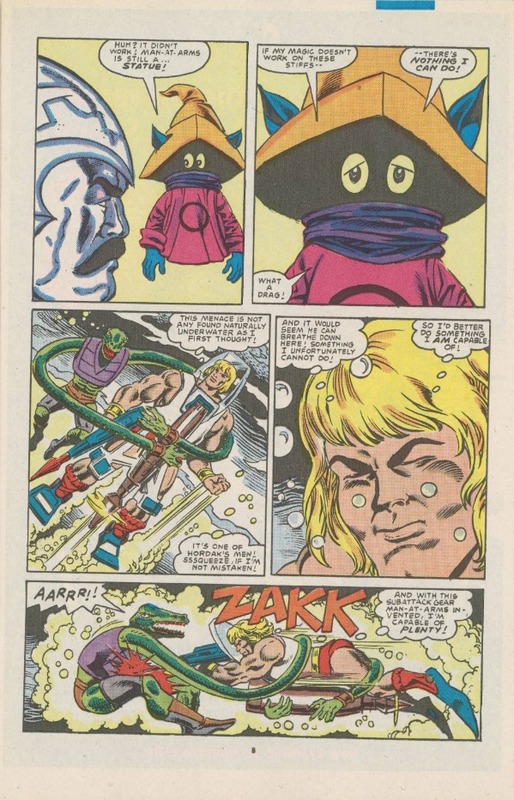 He also reminds me of something that might have come out in the Galaxy Warriors toyline. 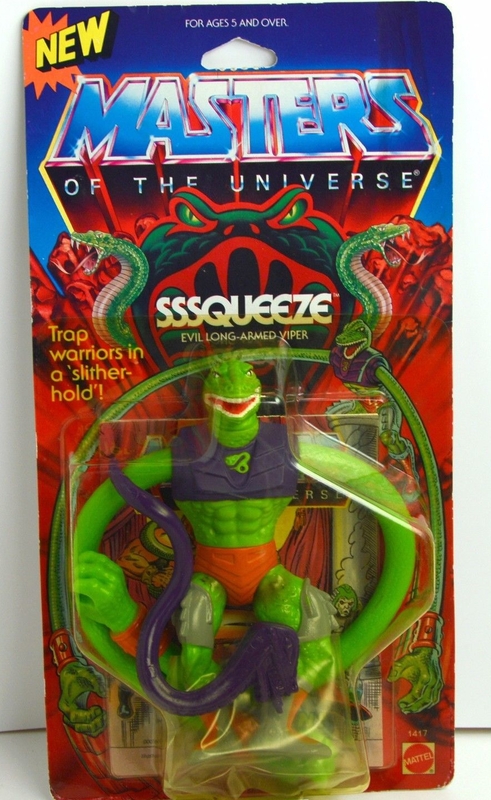 But, as is often the case, Sssqueeze won me over once I bought an example for myself. 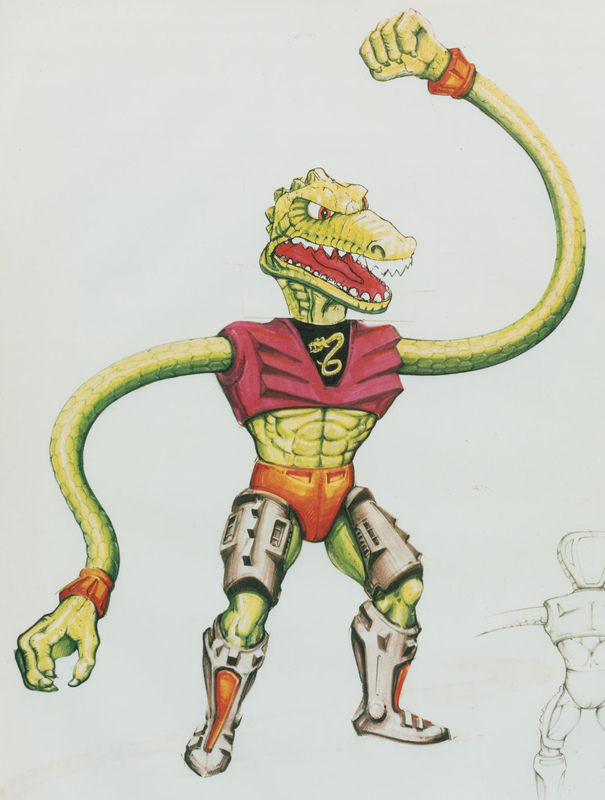 Yes, he’s still goofy, but he’s got some interesting and unique design elements going with his costume, and I am a sucker for his bright green, purple and orange color scheme. 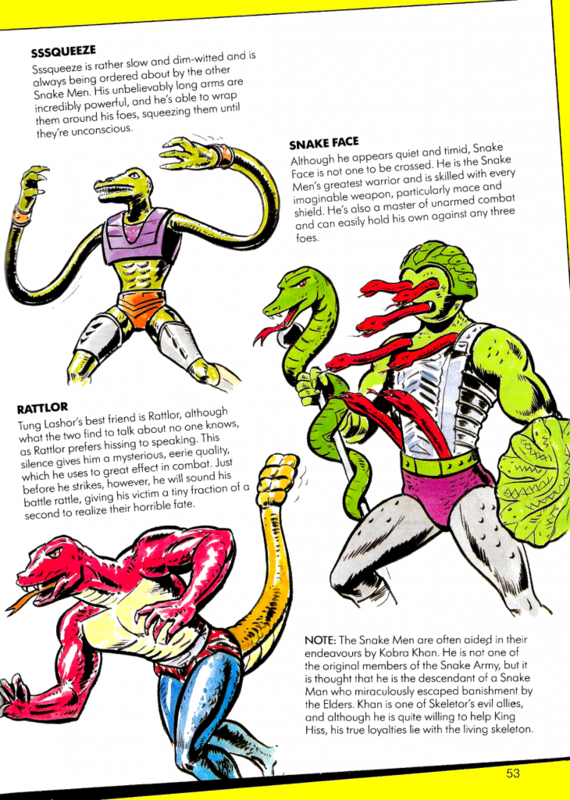 It’s nice that he doesn’t reuse any parts from previous figures, although he easily could have made use of legs from Rattlor or King Hiss. 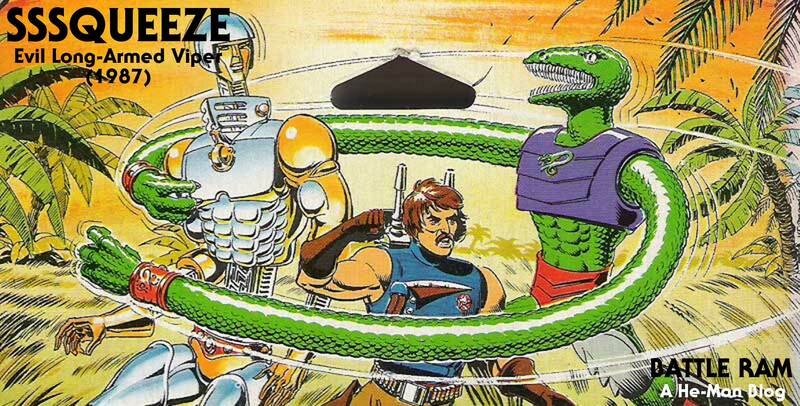 Sssqueeze is a part of the Snake Men faction (their logo in on his chest). 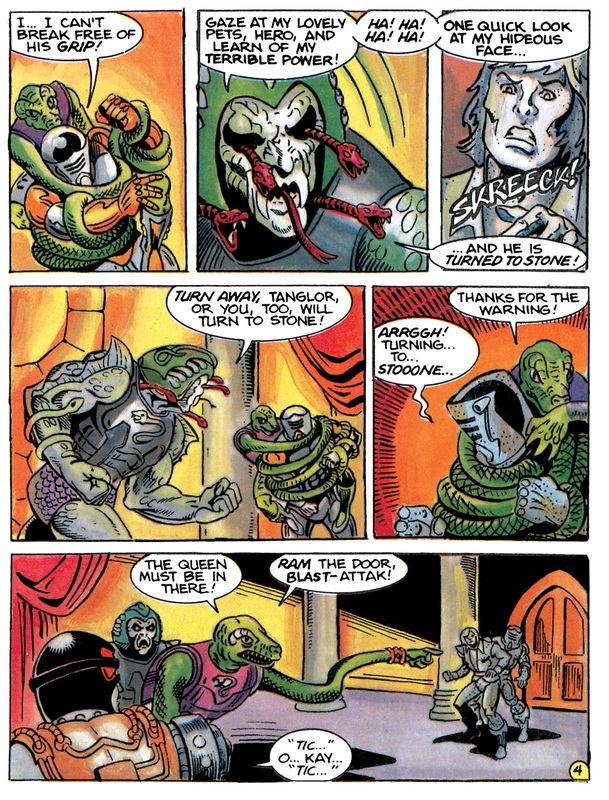 However, like Tung Lashor, he doesn’t seem to be a snake at all. 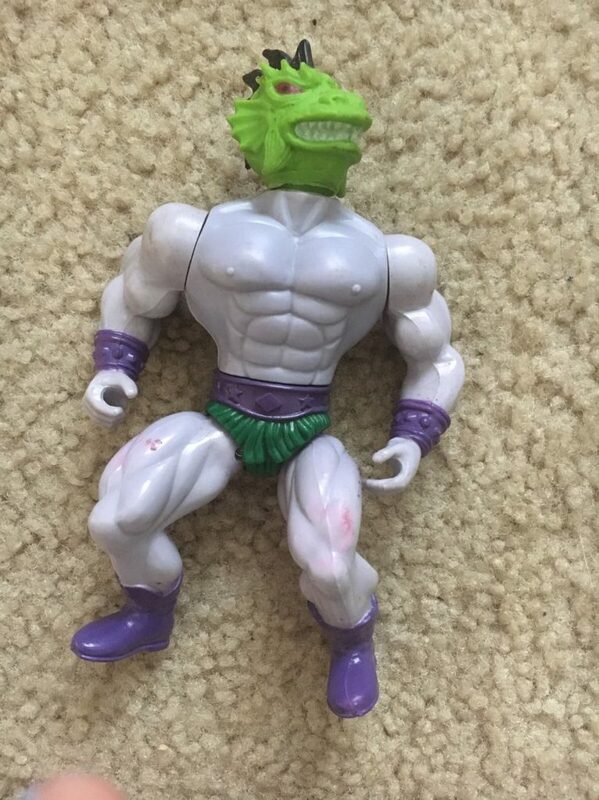 His head has looks like it was taken from some kind of dinosaur. 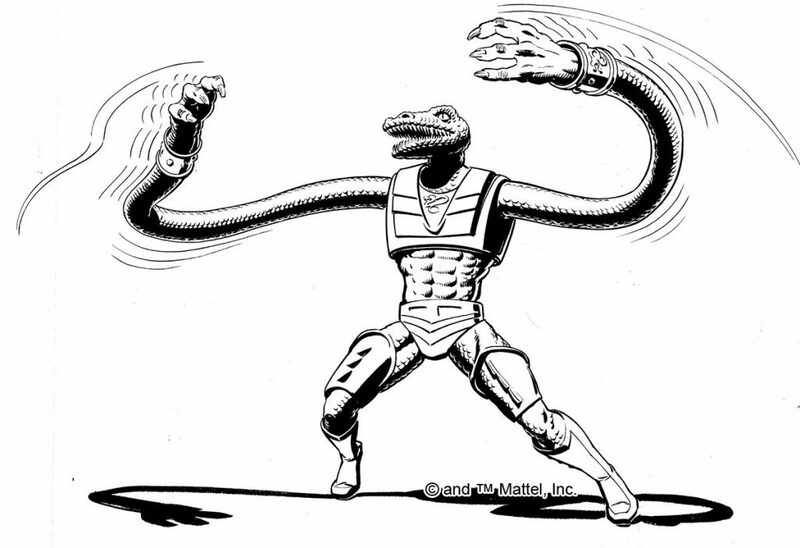 His long arms are certainly snake-like, but otherwise he seems to be a distant cousin of the Snake Men who decided to join in on their fun. 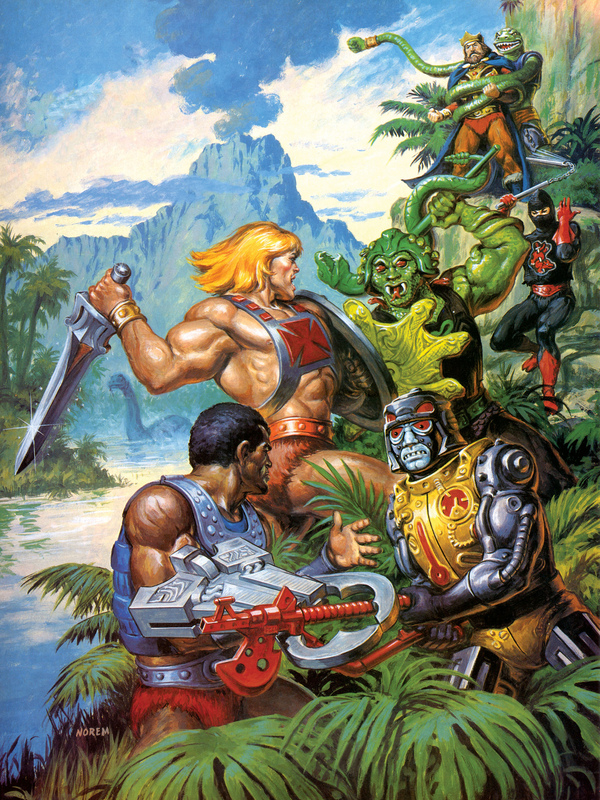 Cross sell artwork courtesy of Axel Giménez. 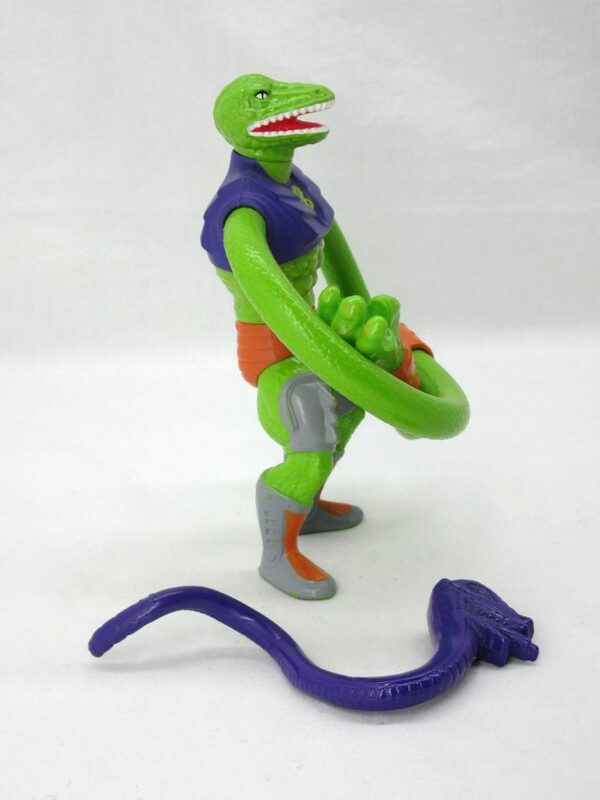 The artwork is faithful to the look of the final toy. 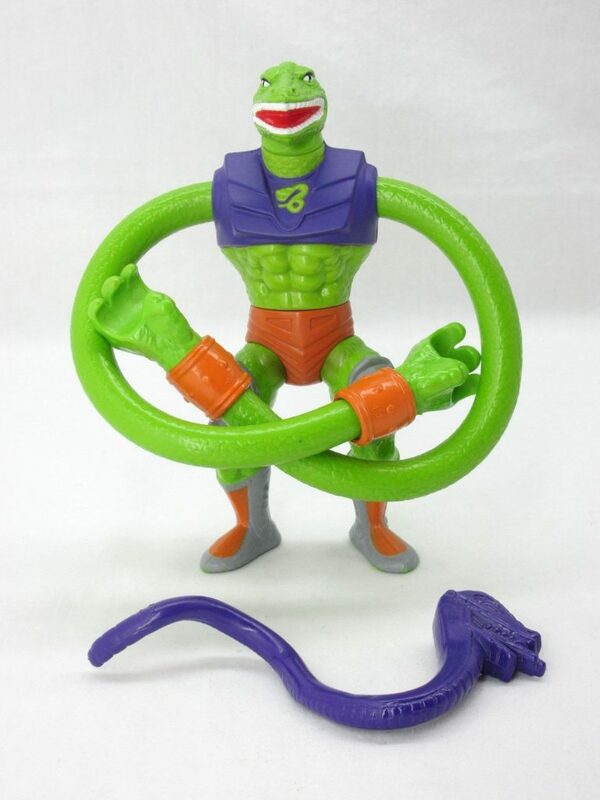 The figure itself had flexible rubber arms with internal metal wires to maintain their position, similar to Gumby toys. 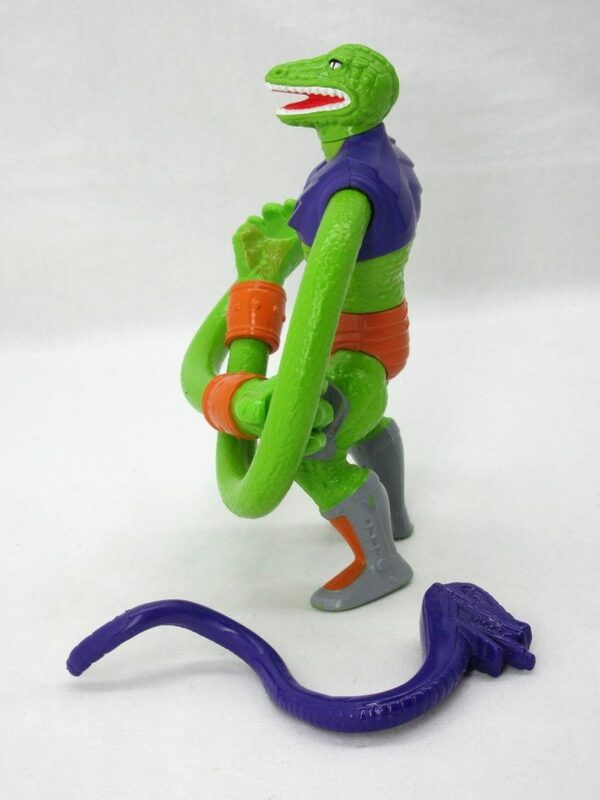 The arms could be rotated within the figure’s hard plastic body, or even slid from side to side, giving the character two arms of different lengths. 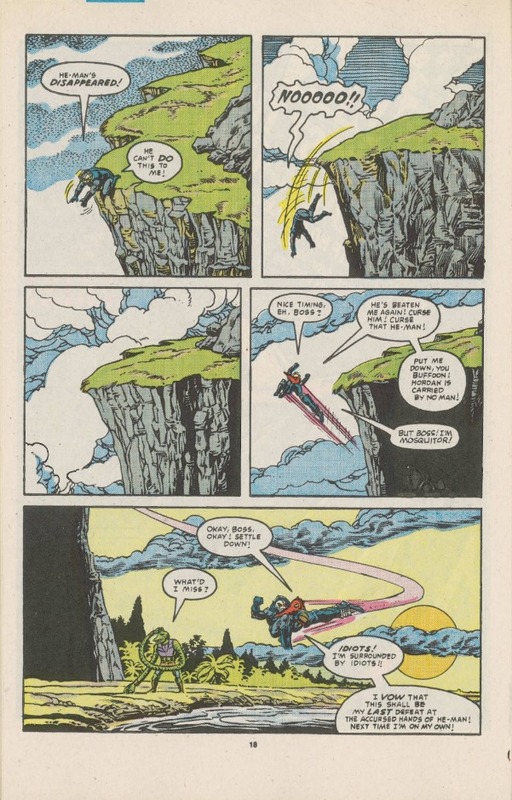 He had the familiar spring loaded waist, but given the weight of his upper body, it moves rather sluggishly. 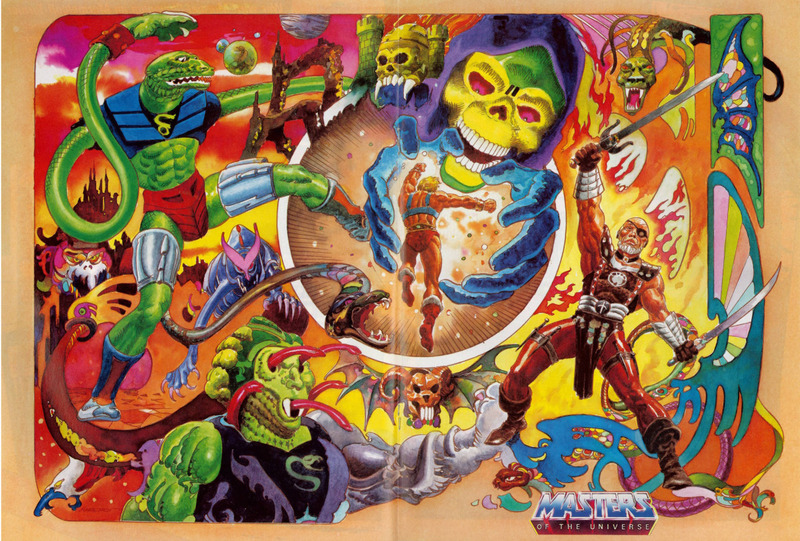 The artwork on the back of Sssqueeze’s card was done by the prolific Errol McCarthy, and I believe the artwork on the front was done by Bruce Timm. 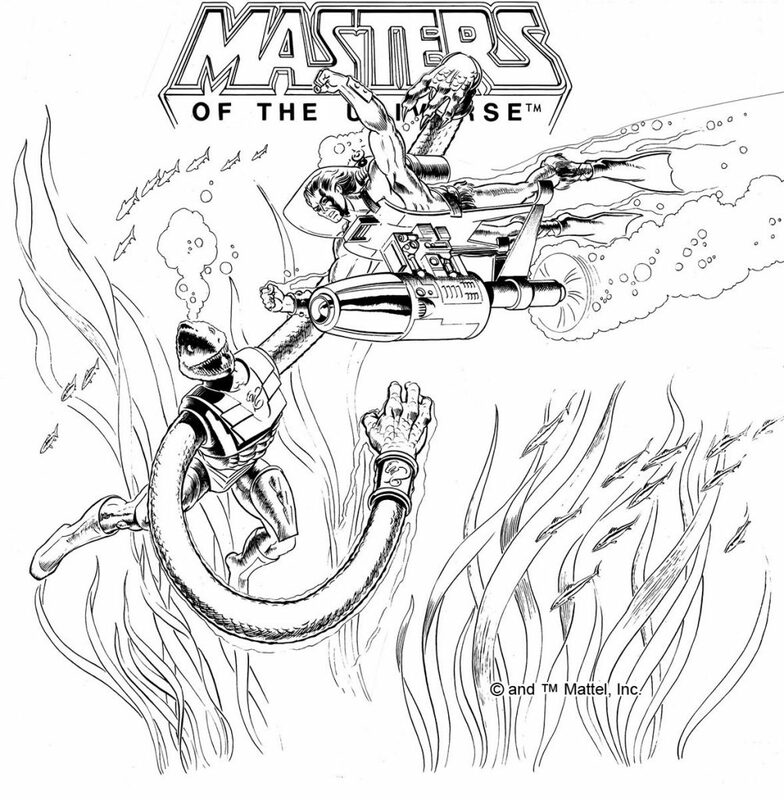 McCarthy also illustrated the character for use on a T-shirt and also for the 1987 Style Guide. 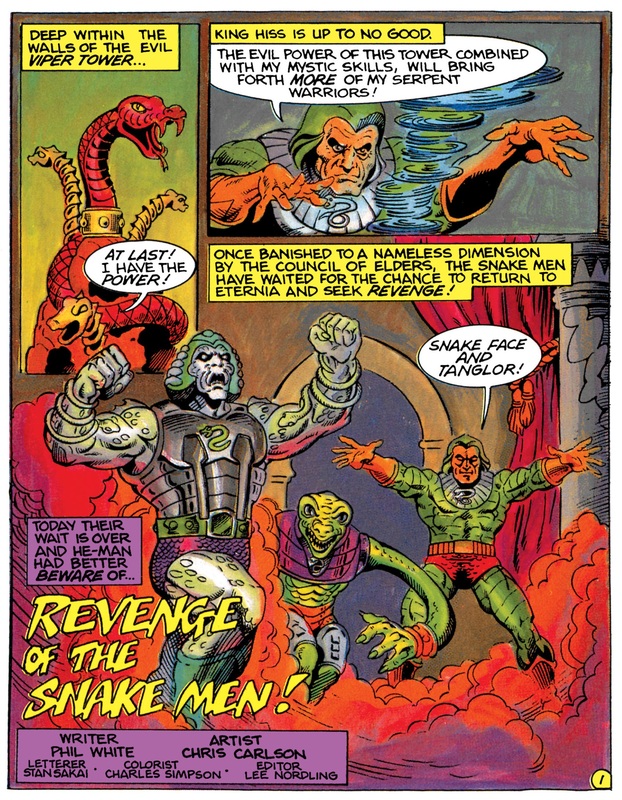 Squeeze plays a fairly major role in two mini comics released in 1987 – Revenge of the Snake Men! 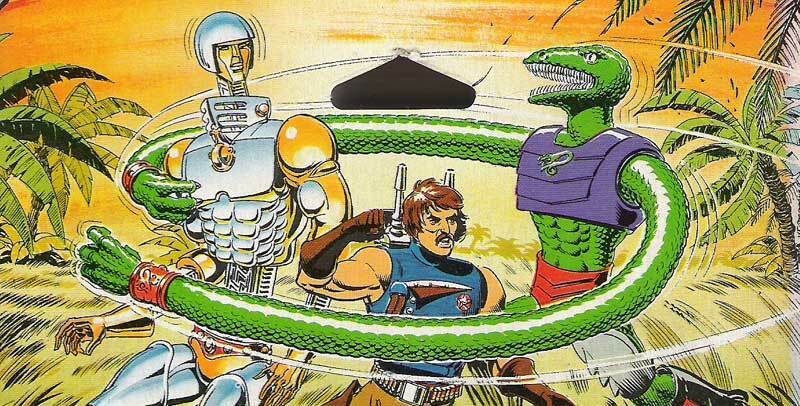 and Energy Zoids. 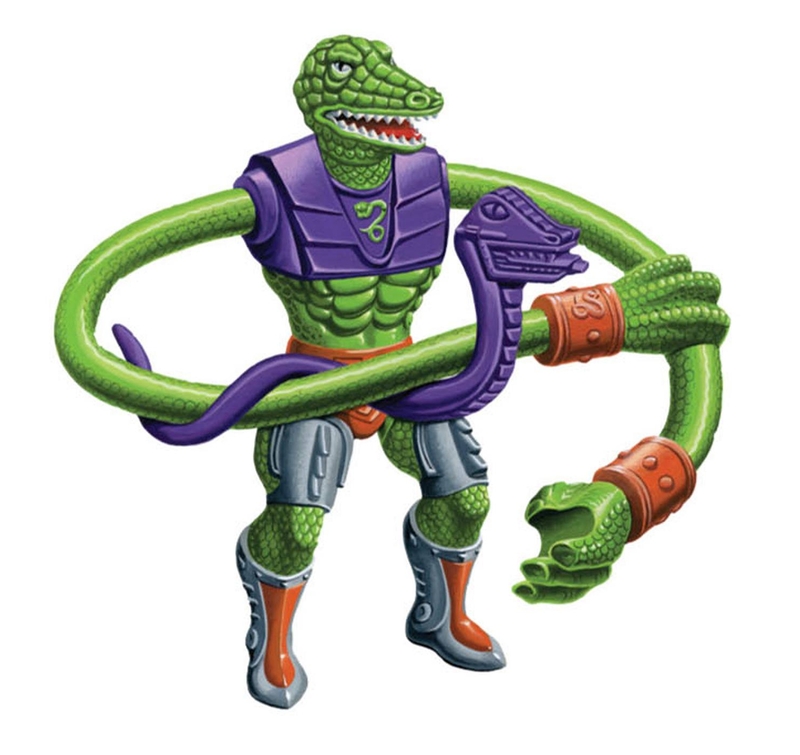 In the former he goes by his working name, Tanglor. 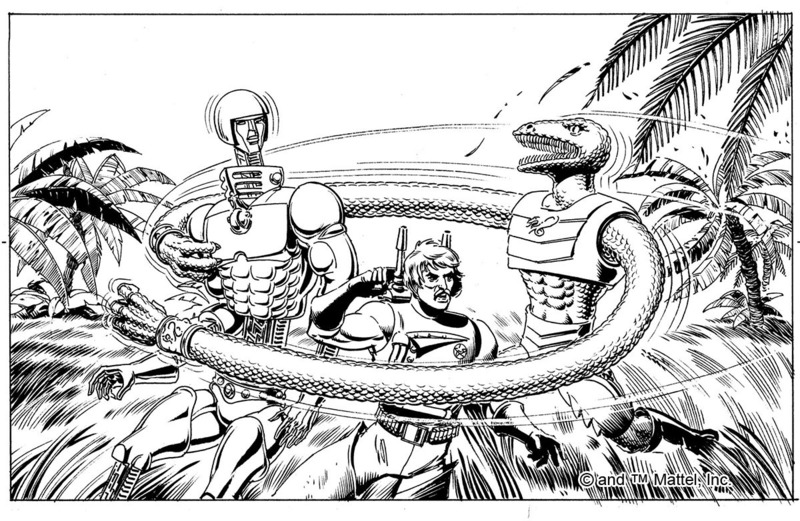 At the behest of King Hiss, Snake Face, “Tanglor” and Blast Attak launch an assault on the royal palace, nearly succeeding in overthrowing all the heroic warriors there. 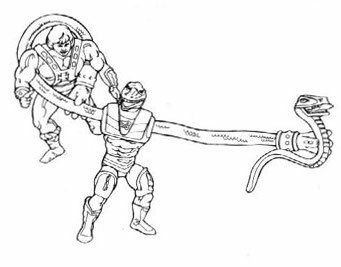 In Energy Zoids, Sssqueeze helps Skeletor capture Rotar, but ultimately becomes Rotar’s weapon as he unleashes his attack against Twistoid. 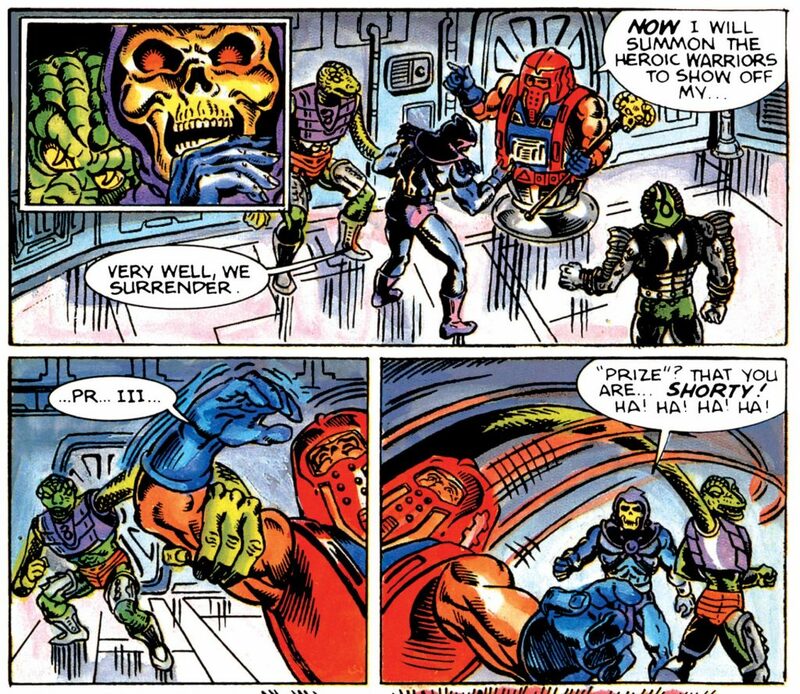 Sssqueeze works for Hordak in issue 8 of the Star Comics Masters of the Universe series, where he faces off against He-Man, who is equipped with his Scubattack accessory (images via He-Man.org). 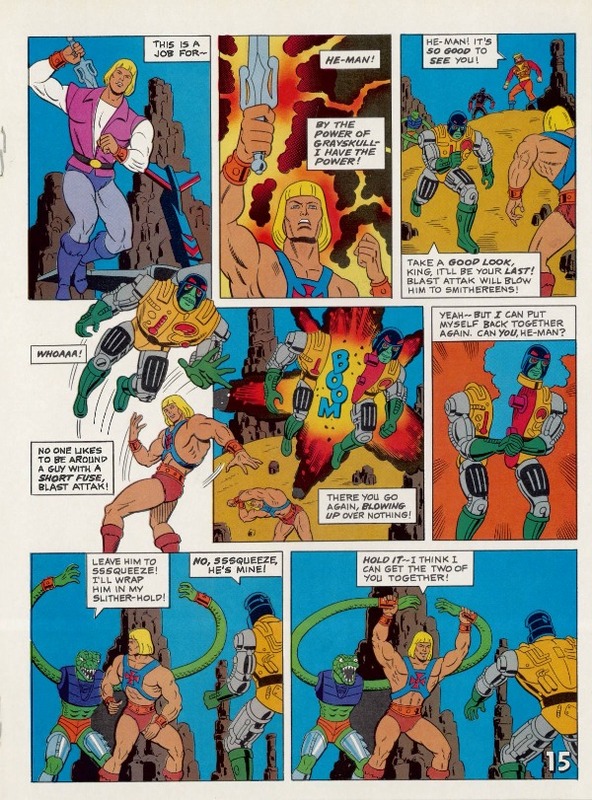 In the Fall 1988 issues of the US Masters of the Universe Magazine, Skeletor sends Sssqueeze, Blast Attak, Snake Face and Ninjor to capture King Randor, who has been stranded in the desert. 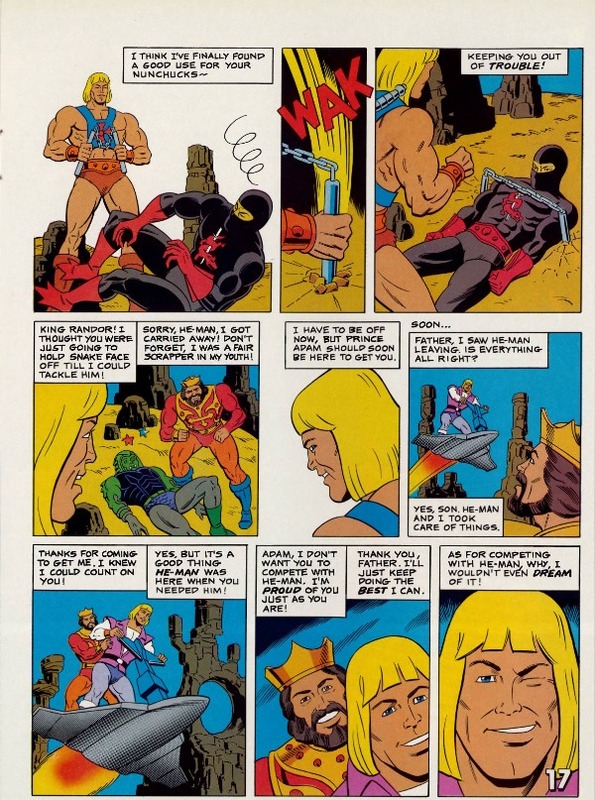 He-Man defeats the villains with little difficulty (images via He-Man.org). 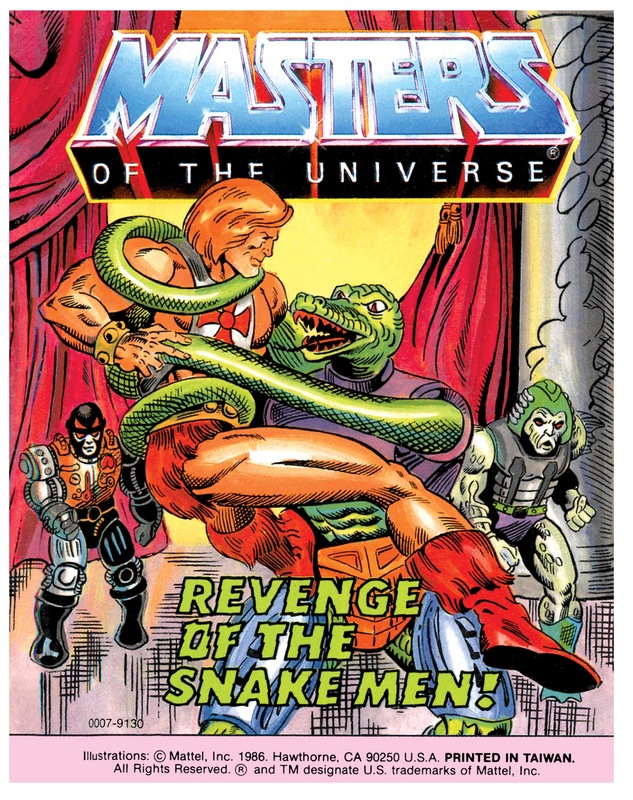 The same issue comes with a poster painted by the legendary Earl Norem. 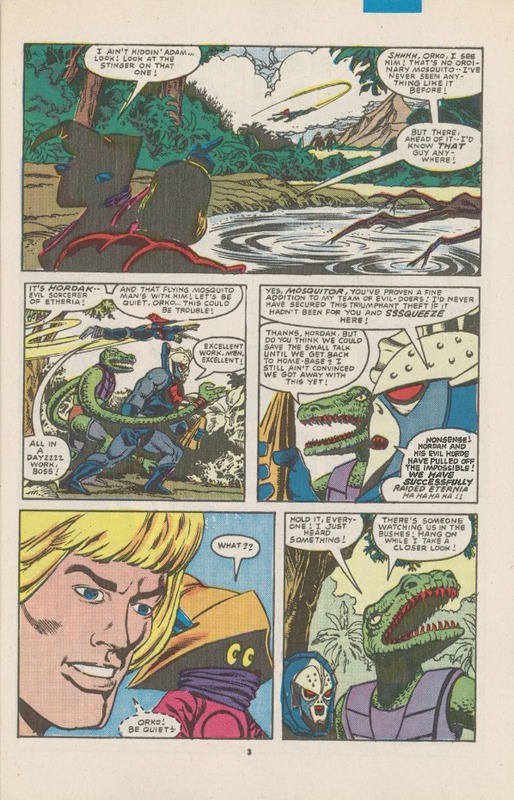 In the scene, He-Man faces off against Snake Face and Ninjor, while Clamp Champ takes on Blast Attak. 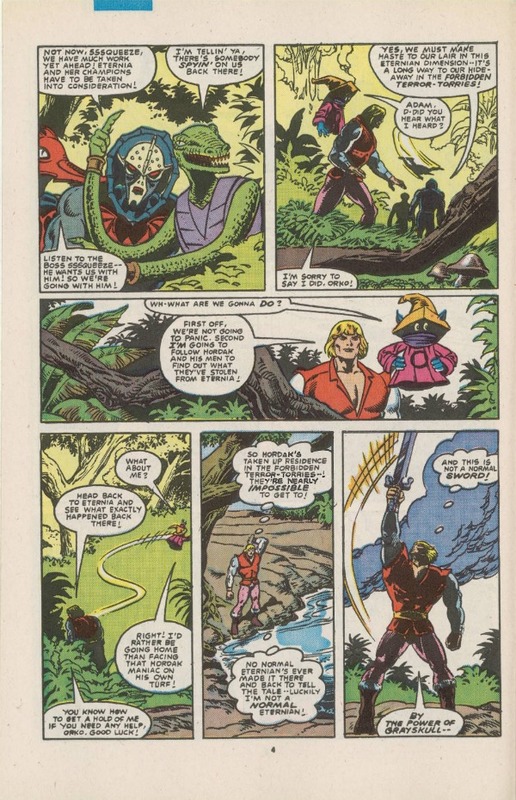 Sssqueeze holds King Randor captive at the top of a cliff. 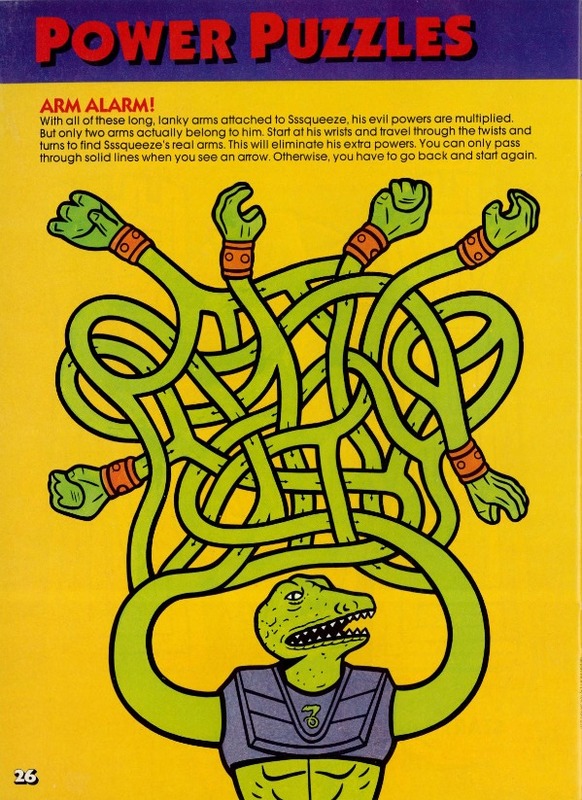 The Winter 1988 issue features a puzzle made from a tangle of Sssqueeze arms. 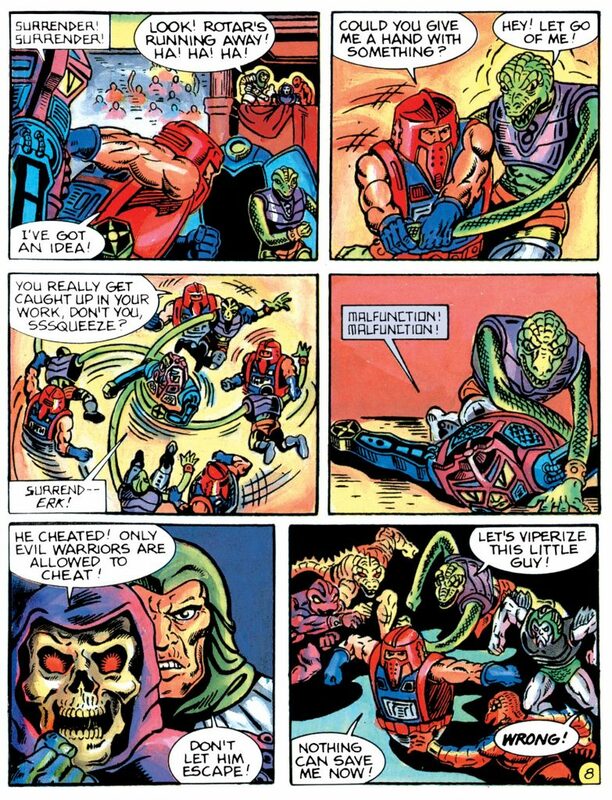 Sssqueeze is certainly one of the goofiest characters in the MOTU line, but also one of the most fun to play with. 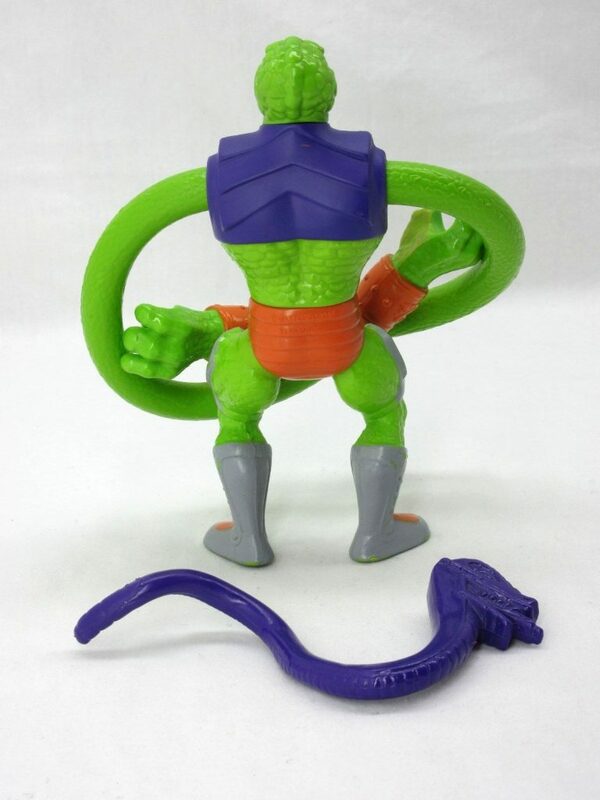 He’s certainly the most poseable, and works great as a desk toy. 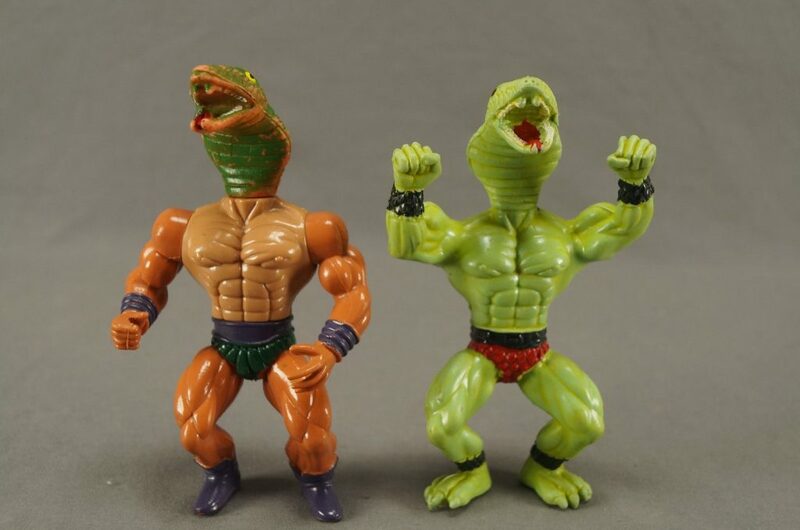 I had King Hiss , but was not aware of the other snake men until a trip to a local department store. 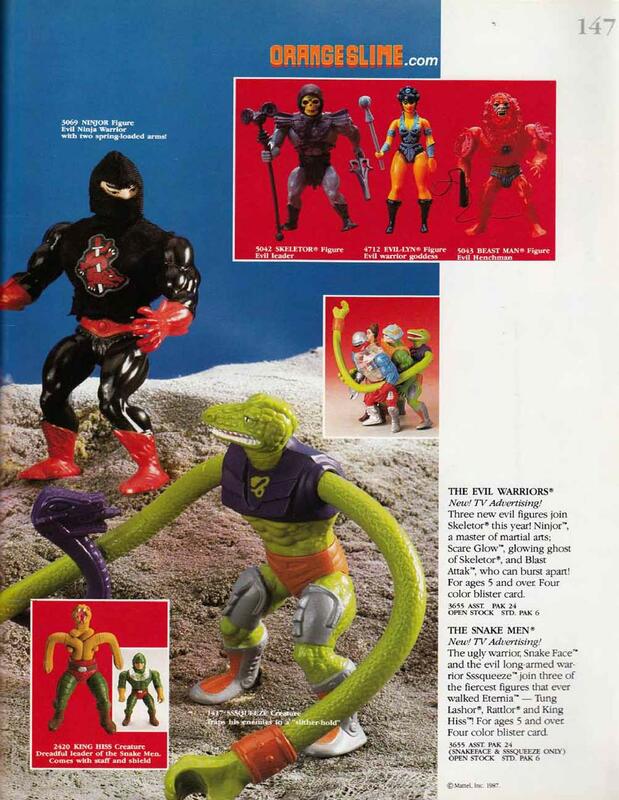 I had the chance to buy a couple of Snake men , but blew the cash on a crappy M.A.S.K car instead. massive regreat! 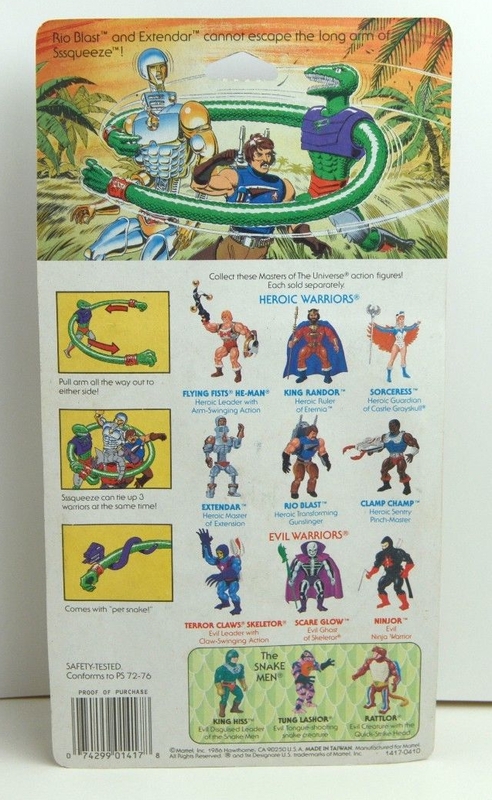 Seems to me that as the toy line was winding down the designers were given more room to try any crazy idea they could think of.